I hope you are enjoying the new look website and have had a chance to search and browse through the image library? This now hooks directly into Lightroom and will enable a much quicker camera to library workflow. New images will be added each week and there is a new slideshow section coming shortly to showcase some of my best from the hundreds of different species/locations I have worked with. Sign up to the newsletter (form to the right —>) or follow us on facebook to stay up to speed! Well… The D4. I still get a few kind emails regarding the practical review of the D3 (Read that review here), I did back when it came out in 2007 and changed the way I worked forever (it really did). Upgraded from the D3(s) from 12 megapixels to 16 as well as image processing improvements. There is a lot of forum chatter about this new sensor (most of it unsubstantiated brand clatter I might add). Some people were hoping for more pixels whilst other were hoping for higher performance whilst remaining at 12 megapixels. Nikon seem to have gone the route of maintaining or even slightly improving the same high ISO performance as was found on the D3(s) whilst pushing the megapixels up as far as is reasonable. Now the jump from 12 to 16 is not significant, indeed Nikon offer a 24 megapixel D3x for the detail junkies. However you can expect a visible improvement of rendered detail thanks to those extra pixels, although not a night and day difference and certainly not in most printing outputs other than very large format. I am going to reserve judgement on the image quality until I have had one out in the field with me, many people are making claims both good and bad simply with guesswork or by looking at rushed test images sneaked out from presentation events. Now I am certain it will offer better image quality than the D3(s), but how much better is the question. Coming in at £4700 this is a real dent in the wallet, even after trading in my D3 bodies. It is for this reason I am breaking with tradition and holding off ordering one until I have tested it personally. My clients very, very rarely have a problem with the detail (quantity) in my images, even at “only” 12 megapixels the D3 offers all I need for my (and my agent’s) business. More would certainly be welcome, but not at any price. This is where the D4 is a must have upgrade for professionals. If you are making video content. Nikon have really (really) beefed up the video offering on this model. This is the first model Nikon have produced where they appear to have taken video very seriously. Canon have had the edge on Nikon in this area since the 5DII, which proved a huge hit with the high end video market (to the point where an entire episode of “House” was shot with it). The highlights of the video options are..
Uncompressed 4:2:2 output from the hdmi. This is a big deal for higher end productions as it means you bypass any compression the camera needs to do to save the video to the media card and get a very high quality output. You will need an external device to capture this video, but if you do need it, you can afford it. Canon deliberately cripple this option on their SLR cameras to protect their high end video camera sales. This move from Nikon is a clever (and well needed) one that may force canon to follow suit. B-Frame h.264 compression and a whole host of other tech changes mean that if you are not using an external recorder you will get great quality video, with minimal rolling shutter. Now I have mentioned the video options here as they are significant for this camera. However I am a stills shooter and don’t as of yet need to offer video content to my clients. If I did however, I would have put my order with NPS in the moment it was announced. This area however is of most interest to me second to image quality. Thanks to image readout and processing moving on a generation this camera is a speed demon. The buffer has been increased dramatically allowing 100 (estimated) shots in raw before petering out to the card. This is great for sports shooters or when I am following Cheetahs on a hunt for example. Additional tweaks to the already great AF system means that initial AF acquisition is quicker and more reliable. This means that running/flight sequences will lock on quicker of the mark, the tracking however has remained the same apparently (once acquired). I have always been very pleased with the D3’s AF system. Similar to image quality I will need to asses just how much improved the system is before I would commit to purchase. Nikon have unfortunately decided to go for a mixed route on this occasion. 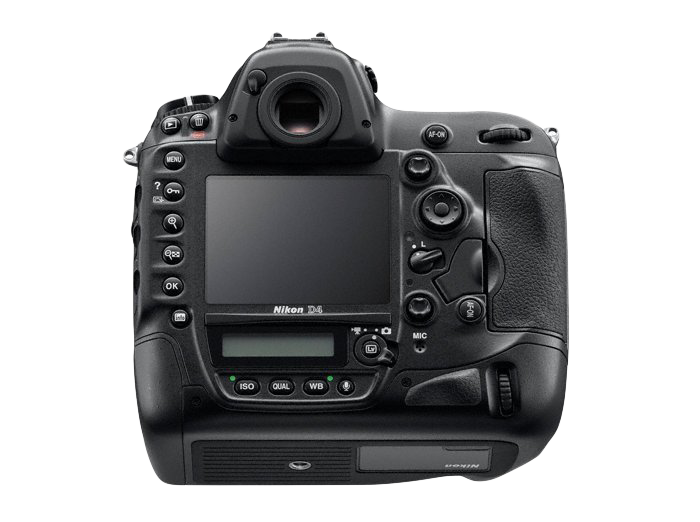 In my initial review of the D3, I applauded the fantastic setup of dual Compact Flash slots. This meant I had two matching slots to load up that would perform the same as each other and offer either seamless overflow or backup pending the users’ choice. 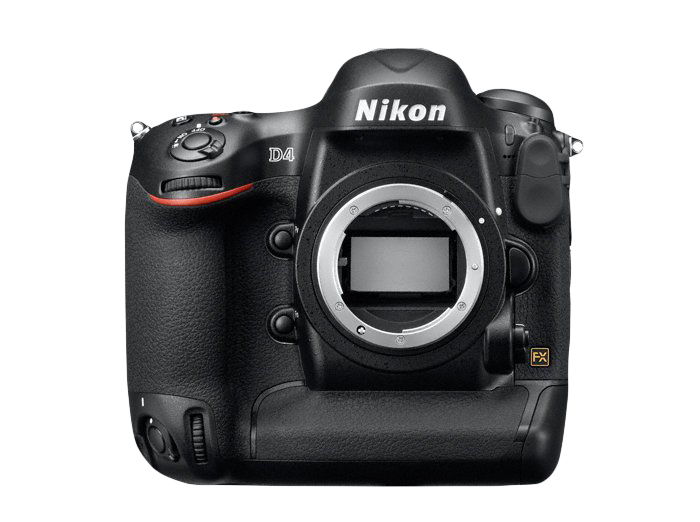 On the D4, Nikon have put in 1 Compact Flash slot and 1 XQD card socket. XQD is a brand new standard that will offer a more durable card (no pins to break) as well as faster speeds now and especially in the future. So why am I disapointed? Well now we have a situation where users will realistically have to (or will) get the new XQD cards anyway (otherwise they limit themselves to a single slot and reduced speed), but be forced to use older CF cards as well. 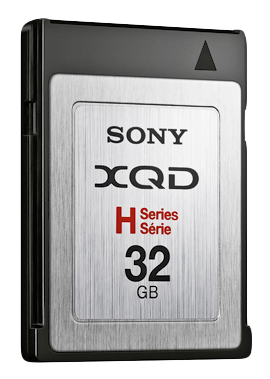 Now, people who throw £4700 on a camera will probably also have the ability/need to load up on XQD cards as well. Yes it would be a little annoying to sell off all those old CF cards, but that’s the price of upgrading and technology moving on. I would have much rather had either two XQD slots or two CF slots. A mix of the two is a compromise and in flagship cameras I don’t believe there is room for compromise. As I mentioned anyone who needs the D4 for it’s speed will not begrudge buying a new range of cards to get the most out of the camera. This seems like a move to keep peace with people who probably wouldn’t likely buy or benefit a camera like this anyway. There are some potentially fantastic wireless options with this camera. This could be a great boon for those that do remote camera work. This is one area where if I did more remote work (and I do have some upcoming plans in this area for next year) then would potentially be worth the upgrade. See the video below for a quick demonstration of what can be done..
Minor but helpful alterations to the body of the D3 have also been made, including an excellent moved additional joystick for AF point selection when in portrait mode. Well, that’s a quick overview from my perspective on the camera. Please remember I have kept this brief as I have yet to use it, so this is all based simply on the information I have learned. Nikon NPS have a roadshow for their professional users in a week or two at which point I’ll report back more. As it stands at the moment, I have far more pressing areas of the business to focus the money on, rather than upgrade a camera (the D3) I am immensely satisfied with. Remember if I (as with most working professionals) upgrade, I have to have two bodies, with one as a backup/lens flexibility option. Should, after some hands on time (and I will be doing a full review either way) I decide the whole is greater than the sum of its parts, I may well take the plunge. But until then I feel it is simply an evolutionary (for stills) upgrade that I will be keeping a close eye on. That said if Nikon need to sponsor someone, I am more than happy to take delivery of one or two of them! When Nikon released the D3 back in 2007, it genuinely was (an I HATE this phrase now-days) a game changer. It took high iso photography to the next level and stomped a great big boot onto the megapixel race. I took delivery from the first UK batch and they still serves me very well to this day. The D4 steps this on further, how much further I am looking forward to seeing. For professional video users though, it is a must buy.